Let's face it - kids can be hard to please during the holiday season. Their tastes change daily and what's cool can suddenly become too "baby-ish." By using this list to find a christmas gift for kids, you'll be covered until your child hits adolescence and beyond! Don't be afraid to have a little fun and use your imagination when you're making cool Christmas gifts for kids. Children aren't concerned with perfect craft execution or the skill level required when completing a project. 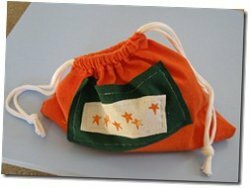 Kids want a gift that they can show off to friends and get some use out of. Make sure your homemade gifts ideas for kids have some sort of practical component. Also, as mentioned before, kids change and grow every single day. That's why it's important to think of gift ideas that will be cherished for more than just a day. There are so many options when it comes to Christmas gift ideas kids will enjoy. In fact, you can really think outside the box and come up with something super unique. Amigurumi toys, comfy socks and even ornaments make great gifts for children. Unexpected touches make Christmas gifts ideas for kids so much more fun. Think of a Christmas gift idea for kids to enjoy and be sure to add a personal touch. You don't have to go broke when coming up with gift ideas for kids for Christmas. Focus on using materials you already have and, if you have to buy something, head out to your local dollar store. 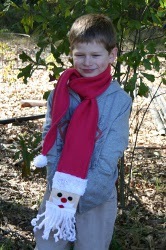 Try a recycled Christmas gift idea for kids to enjoy all season long - your wallet will thank you later! Still not satisfied with what you've seen so far? Check out some more Christmas gift ideas kids will enjoy and get inspired to create. As long as your gift ideas for kids for Christmas are from the heart, you can't go wrong. I love the soap bottle idea into a snowman it's so simple but so effective! I would of never come up with this and my niece and nephew just loved making them....we altered it at Halloween and made ghosts! I have promised them that we can make them again this year!